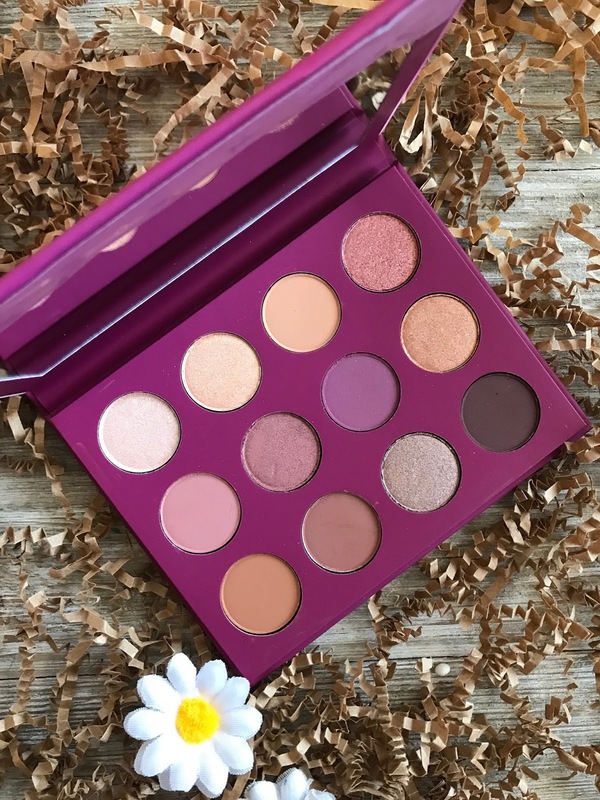 If you follow this blog or my social media accounts, you know that I am a pretty big fan of ColourPop's pressed shadow 12-pan palettes. 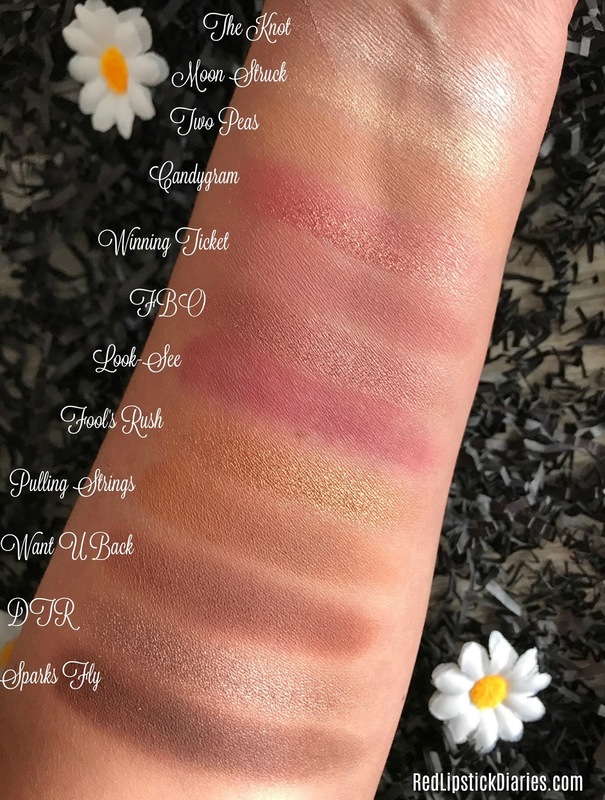 In fact, I will link all my previous reviews, so you can see my swatches and thoughts on all the ones I have purchased so far, which is all minus the My Little Pony palette. 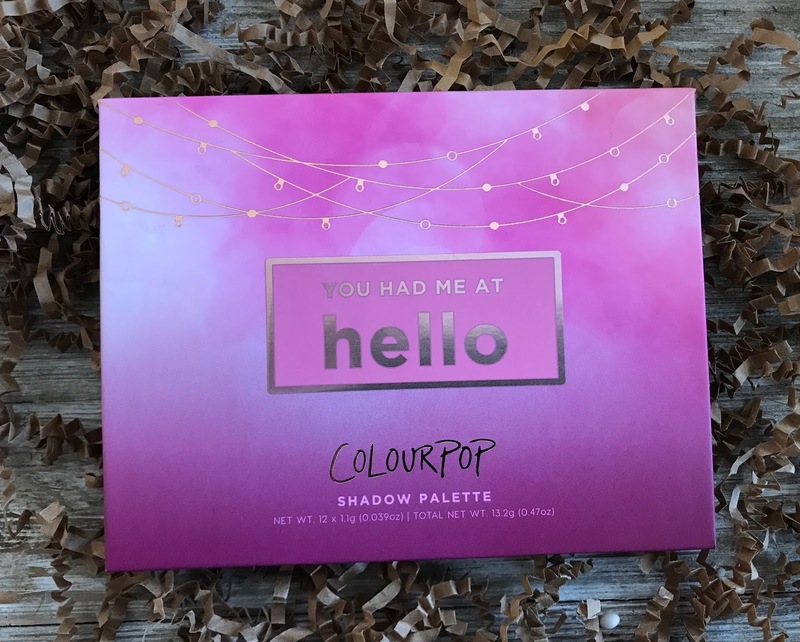 The You Had Me At Hello palette is the first Colourpop palette with a mirror, it's filled with shades that I was pretty excited for, but it's also the first of these palettes that has disappointed me. 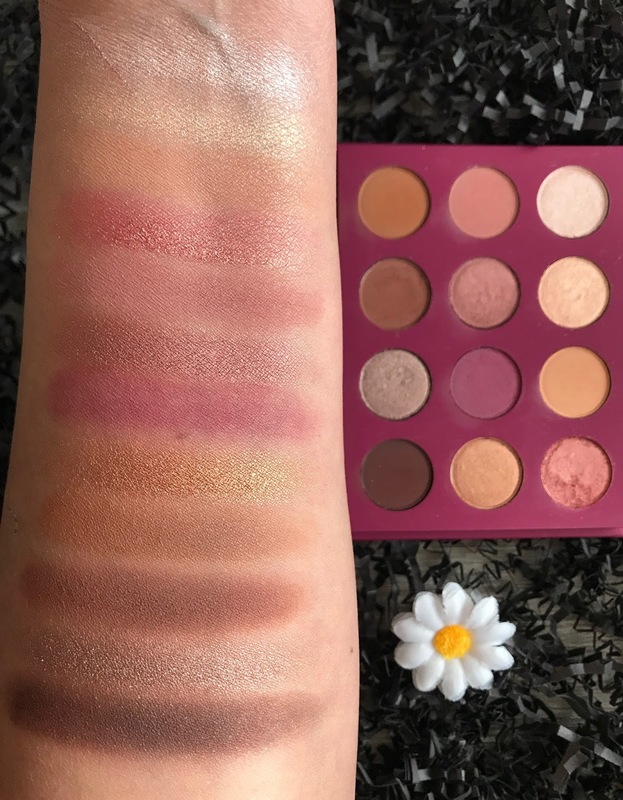 After using it a few times and doing a second set of swatches, I like the palette, but I definitely don't think it's ColourPop's best and it makes me wonder if they are not pushing products out too quickly. The You Had Me At Hello palette costs $18, which is only $2 more than the no-mirror palettes. I love the addition of the mirror and that ColourPop didn't raise the price by more than two bucks. 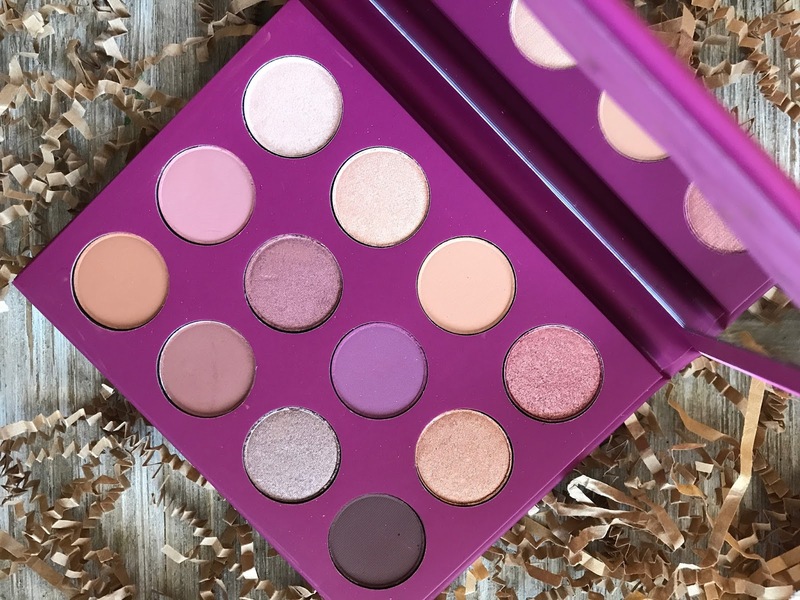 So this is a very neutral palette, which I know a lot of people are getting tired of, but I really found the color range pleasing to the eye and loved the shade Look-See, which gives the palette a pop of purple/plummy happiness. Overall I really liked the shade selection in here especially Look-See, and because it is their newest palette, I expected the quality to be the same as the rest of their palettes, if not better. Unfortunately the Look-See shade is very dry and patchy. During my 1st set of swatches it was so hard to swatch, and the more than I tried to layer a little bit of product on top the patchier that it got. Using it on my eyes was also not super successful, even though it seems to be pretty pigmented on a finger swatch I could not really get that pay off on my eye with a brush. It's almost like the pigment sticks either to my finger or brush and won't deposit on the skin. As for the rest of the matte shades, I feel they are pretty on par with all the other matte shades from earlier pallets. Some have a little bit of kick-up, but nothing out of the ordinary. Candygram, a duochrome shade is also not my favorite. It is a little bit crumbly and I find that I have to apply this one with a finger or a wet brush in order to get it to lay nicely on my skin. I don't remember running into very chunky shimmer shadows before with these palettes, but maybe I'm just not remembering correctly. The rest of the palette is actually very nice. The 1st 2 shades in the palette are especially beautiful (The Knot and Moonstruck), they both have beautiful reflective finishes and are buttery smooth. I actually think The Knot would be quite pretty as a highlight. Overall for the price I don't think you can go wrong with the ColourPop You Had Me At Hello Palette. It has two great transtition shades, some beautiful metallics and even though there is no matte vanilla type shade, I think it's all-inclusive, especially now with a mirror. For me it's just a bummer that the one shade I was most excited for is such a dud, but there are other shades like DTR, Winning Ticket and FBO that I really like. Plus that entire bottom row is so my jam. Will you be picking up this palette, or maybe the new 20-pan holiday palette that launches tomorrow? Thanks for this review! I was excited about this palette and then I read this :( I wish it was better quality because the shade range is what I'm looking for right now. Do you know similar palettes like this? 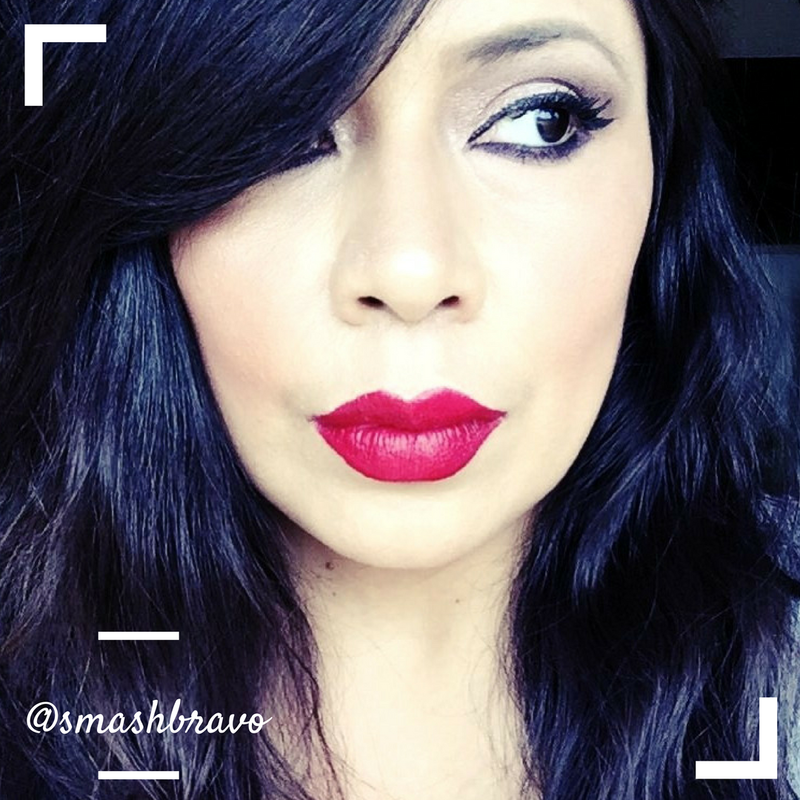 I'll suggest you to do pro makeup lessons for beginners London. This will help you to improve you skills more. I did from Lina, she trains best makeup lesson in my town and she is really caring and helpful towards her students. I will suggest you to do from her, I am so glad that I choose her over anyone else.